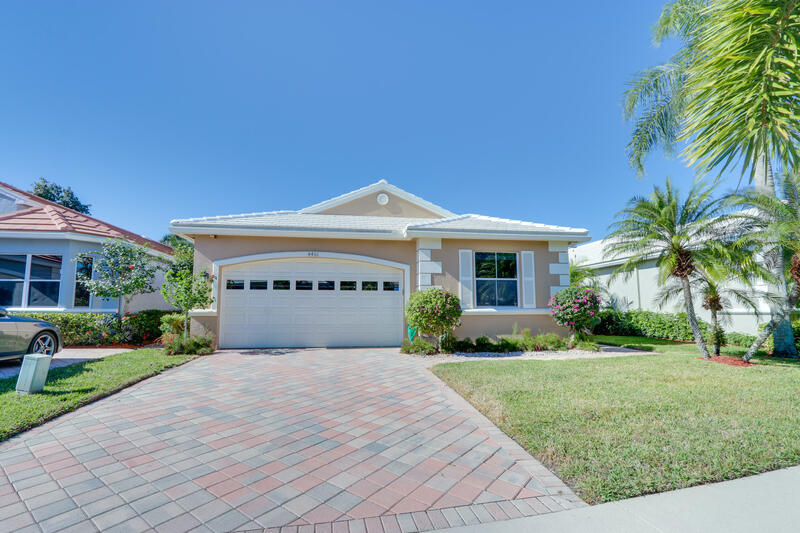 All WYCLIFFE TR K homes currently listed for sale in Wellington as of 04/21/2019 are shown below. You can change the search criteria at any time by pressing the 'Change Search' button below. "Fully Renovated open kitchen, with glass doors, two sided storage cabinets, under mounted lighting, Stainless Steel appliances, expanded granite serving counter, farmers sink with soap dispenser. LED lighting throughout. Smooth walls, and knock down ceiling this great room floor plan includes breakfast area and bar. New floors with 6 inch baseboards and only 2 thresholds throughout. New bathroom floors with new cabinets and granite counters. Master suite with walk in fitted closets, wood blinds, and golf course view. Bath features frame less shower enclosure, river walk shower floor, and granite counters. Panel wood doors, in the living areas. Fenced back yard, with expanded atrium screened enclosure and additional 16 ft. paved patio with landscaping. Easy entry front garage cont..."
"New roof in 2014 & Newly painted in 2017. Great room living areas naturally lit by glass sliders, framed wall mirror in dining with chandelier, vaulted ceiling, crown moldings, & ceramic tiled floors. Kitchen has refaced white cabinets with granite counters & back splash, island with farm sink & storage, stainless steel appliances, & pantry with pullouts. Family room with built-in glass & mirror display shelves, features golf course views through glass slider with frosted transom window to patio. The covered, expanded & atrium screened paved patio is perfect for entertaining and includes door to stone path & landscaped side yard. 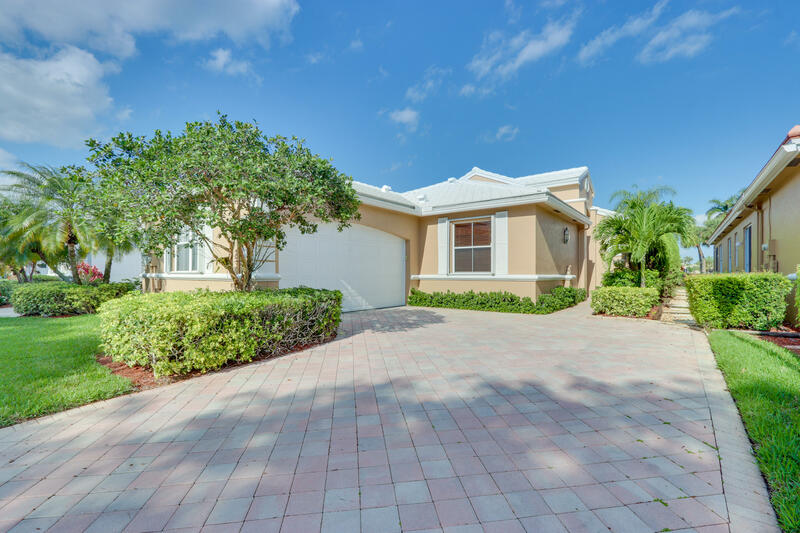 Carpeted master with Hunter Douglas window treatments, has golf views through 3 pane window & glass slider to patio, & has 2 fitted walk-in closet."